This is Part Two of a two-part series. Click here to read Part One! Bio: Eda Derhemi (PhD in Communication, 2003) is a lecturer in the department of Spanish, Italian, and Portuguese, and an adjunct assistant professor of Communications in the ICR. She completed her undergraduate studies in Linguistics and Literature at the University of Tirana, Albania, and her graduate studies in Illinois. She has extensive teaching and research experience in Italian Language, Linguistics and Media Studies. She worked as a correspondent journalist for Deutsche Welle, and is a regular writer of opinion pieces in the main Albanian media. Her interests are: linguistic endangerment and language death, minority languages and ethnicity in the EU, language of the media and propaganda, Balkan and Mediterranean studies, Arbëresh and Arvanitika. Breathless, I enter in the main area of Hydra’s port. The tiny village that grows like a healthy plant up the rocks, the white houses and the deep blue sea-sky background shock you like the song of sirens. The tourists usually walk in groups: the American groups the noisiest and the most conspicuous of all. I can feel that being alone is not a normal thing in this island that is finally accustomed to tourism in the age of globalization. The islanders behave carelessly since I am nothing more than a tourist. They do not know that I can construe every single move of their head or eyebrows or smile they give to each other, not at all different from people from the small towns in Albania. And I like it. The beautiful sweet donkeys (or mules… it has been a long time I left my country, so I can no longer tell the difference) are the first villagers to greet everybody that arrives in this little piece of land fallen from paradise. They are tired and resting in the extreme noon heat of a sunny day. 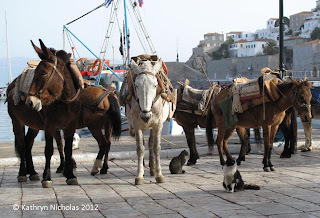 Once in a while the tourists load them with their luggage (or with themselves sometimes) and follow the donkeys towards their rented villas in the higher parts of Hydra. The donkeys behave slavishly, without any resistance. At that moment I caught myself wishing to be as peaceful and obedient as they were; my life probably would have been less hectic. 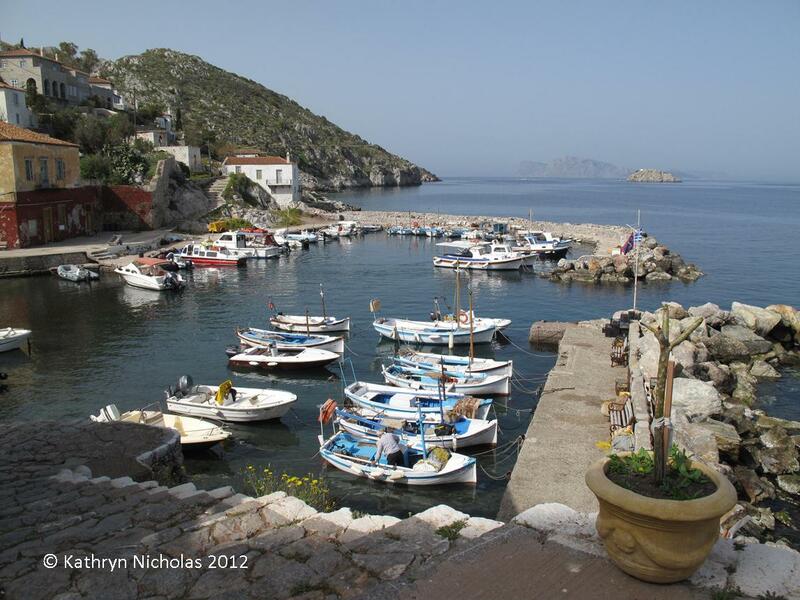 Fortunately Hydra is not the most typical touristic village in Greece. Although touristic, it still gives you some space to be alone; it allows you to think, meditate and dream, and not just run crazily to fulfill your plan of activities and picture taking. Then I decide to do what I do in every Greek village of Arvanitika origin: walk as much as I can, back and forth, to get a feel of the whole place and see whether the language is used in the village, where, by whom etc., and whether signs of pride or shame for the origin are noticeable. This is what had happened in my first hours in the island. And I found absolutely nothing visible: worse than any signs of shame that in fact would be signs of life. Any memory of Arvanitika in Hydra seems to have been wiped out. Not only do you not hear the language anywhere, but the words ‘Arvanitika’ or ‘Arvanites’ are nowhere either. There are many little squares and streets with poetic and patriotic names, and I thought I might find a little square named something like “The Arvanites.” After all, they were well known in Europe and in Greece, as a distinct ethnic group extremely active in the Greek War of Independence. But I find no trace of the name anywhere. Although Hydra is a very small village, it is lucky enough to have its own historical museum, “The Historical Archives Museum of Hydra,” curated by the Ministry of Education and Religious Affairs of Greece. In the streets of Hydra, I could not find Arvanitika, the language that was still spoken in the island till a few decades ago, but I was sure I would find plenty of data about the history of Arvanites inside this museum. The museum is an inviting structure with the architecture of a rich three-story family house with small corridors surrounded by normal-sized rooms, and with wooden stairs. The archives are not shown to the visitors, but the whole history of the Greek revolutionary war is there. Eighty percent of the portraits that are shown in the walls of the museum are famous Arvanites from the island of Hydra, some of whom spoke only Arvanitika at the time of the revolution or even until 50 years ago. I recognize the names of many Arvanites in the museum, because their last names are composites of Albanian words, like Krieziu, Kriekuqi, Kriebardhi or Zogu. The families of Miaulis, Kulurioti, Krieziu, Kundurioti etc, all very famous families of Arvanites, are the center of the museum, together with their well-known ships of the time which were as symbolic of heroism during the Greek War of Independence as their owners were. I also see the beautiful traditional dresses of women and costumes of men, paintings with groups of women around the village spring, under which it is explained clearly that people in Hydra were known for particular costumes and customs… but nowhere is it mentioned what was “particular” about their costumes and customs. The word “Arvanites” is not written once in any of the rooms that make up this museum. I look into the soft brown eyes of Eleni Krieziu painted by Nikolla Voko (Krieziu in Albanian means “black haired head”), who stares into space from a central portrait, and I see something from my two grandmas: Evangjelia, an Albanian of Christian Orthodox faith, and my other grandma Haxhire, an Albanian of Muslim faith, as can be understood from their names. Why is it so hard to say in a historical museum concentrated in one particular era, that these people that fought so hard against the Turkish control in those days on which the museum narrative is centered, belonged to a special ethnicity that was not Greek? Why does this element need to be erased from history? If the museum was built by a group of school children, I would understand it could be the innocence of ignorance implied in this gap. But this is a serious museum, well curated and maintained by an important state institution. I spent a few hours and carefully observed every picture, painting and document in every corner of the museum. As I found no trace of the word “Arvanitika” and “Arvanites”, I went around again to make sure I did not miss anything. Then I went back to the entrance of the museum where two young brothers in their early twenties, smart and outspoken, worked in the ticket and research office. Since it was not a busy day, I started talking to them. They were university students whose parents lived in Hydra, who during summer months worked in the museum. Both had excellent knowledge about the whereabouts of every museum piece. I asked whether there still were any Arvanitika speakers in the village, and they said that nobody today speaks it. I asked whether they were Arvanites, and then added “Arvanites in origin”. The younger brother said: well, in that sense, everybody in Hydra is Arvanites. “Then, why is it never mentioned in this museum, neither the name of their ethnic group, nor the language that most of the heroes of this museum spoke during all their life?” I asked. “Hmm… In fact… it must have been overlooked… they were concentrated in the historical parts,” he answered. Then I asked whether there is anything from Arvanitika language still alive in the island. He said that Arvanitika is not even a minority language in Greece. I said that the fact it has never been recognized as a minority language in Greece, and has never had any institutional care, is one of the reasons the language is dying so fast, but it is not a reason for speakers not to use it. But there were still some expressions used in Arvanitika by all the old locals, he added, “and some that even we use sometimes.” He wrote a list of words and expressions that he and his brother could remember, some of which I immediately recognized as profane dialectal insults, still used in Albania today. The boy said “Some of these are dirty, and I cannot translate them to you.” I laughed and told him to not worry, because I understood those since I speak Albanian. Then we talked about the rest of the expressions and the situations in which they were used. The boy said that the Arvanites used them when non-Arvanites came to the village, usually to say things they did not want them to understand or to insult them. And I asked “When do you use these expressions today?” The boy answered, “I guess when tourists or non-locals come to our island.” We laughed again. I asked him whether he had ever been to Albania. The boy said no, but that he wanted to go some day. I said that he should, since it was only a few hours away, and I joked: “You can even swim from here to Albania.” I also told him that nowhere else in the Balkans had I seen such similarities in traditions, behavior, and the way people looked as between Albanians and Greeks. If, instead of fighting the language of each other, we had only embraced them, we would all be bilinguals now (or probably trilinguals given the widespread use of Italian and English in the region). And probably we would have fought less and been able to communicate much better with each other. 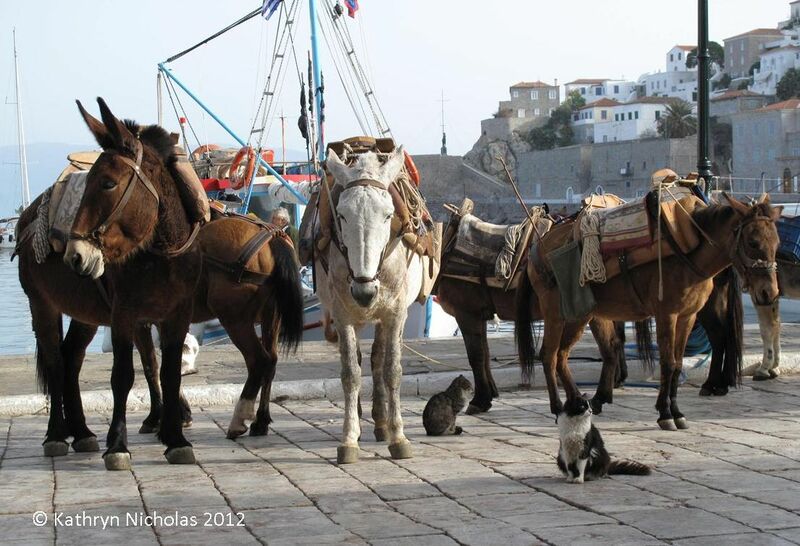 We said goodbye laughing, and I told them that I would be back in Hydra as soon as I could in the coming years. I loved your story. It was very enlightening to read. I did not know that the Arvanitika language was so rare and special. I too am Albanian and you have opened my eyes to our culture. You have inspired me to learn more information about this dialect. I have relatives that can speak it and I will try to learn some words so this language does not become extinct. It is able to be revitalized! Thank you and may you continue to inspire others! Thank you very much, Alex. Indeed, endangered and dying languages are revived one speaker at a time, one word at a time. Great Story. I am North Africa and did not know much about Albania, let alone secondary languages. What a wondrous and joyous thing it is to learn something you never even heard about till you read it. THANK YOU for this. Good story even though it is sad. 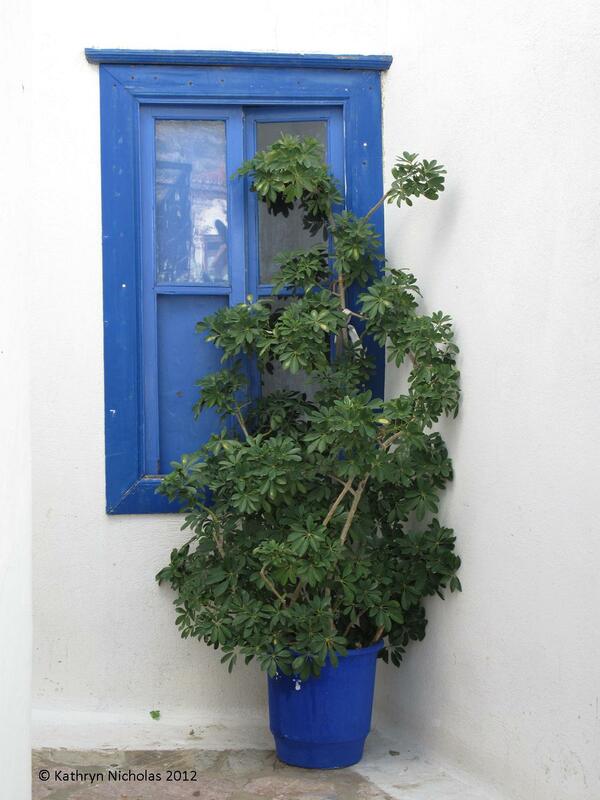 I have often wished to go to some Arvanit villages and see who has retained their sense of being Arvanit. I have a personal story I will share with. My son was taking an acting class at HB studios in NYC. I would wait in the hallway with the other parents. One of the parents had a very distinct but, subtle Greek accent. I enjoy meeting people from the Balkans and asked him if he was Greek. He responded by saying yes and asking if I was a well. I said "no, I am Albanian". He smiled and said "Si je, a je mir?"... I am from Thebes. We spoke a little in Albanian and he told me he was taught to speak Albanian and though he has asked his parents many times if they are really Albanian he has been told he is only Greek. The big problem with his parents' answer is that when he travels to Greece he is called an Albanian by other Greeks. Maybe your search should continue into the US old Greek community which may have retained the language more than the places in Greece. I am touched by your story, Roland. Thank you for sharing it in this blog. I know exactly how you feel. But not all villages inhabited by Arvanites are like Thebes. I have met many non-Arvanites in Thebes that showed low esteem towards those with Arvanites roots. That attitude can make a big difference in the way the Arvanites themselves feel about their own origins. It is the main reason minorities often try to hide their roots. But if you go higher in the mountains (not far from Thebes) you can still today find a few centers that are proud of being Arvanites. Unfortunately this pride occurs only among old people. And you are right: following the minorities in the new land and emigration paths is quite interesting... some sort of double minority status that instead of limiting self-awareness, serves as a liberating process. It is a great suggestion to explore that path. 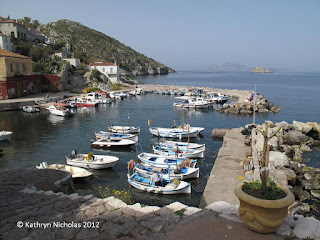 My father and his family used to speak Arvanitika in the towns around Korpi Greece in Attica. Once in a while they would speak it at home. Also, they told me stories that when Germany occupied the cities during WWII they would speak Arvanitika so the Germans didn't know what they were saying. Basically from what they told me it was Gibberish Arvanitika they they only used as children to relay messages to the elders so they could hide food and relay important information about what the German troops were up to. They said that had they not had Arvanitika a little known language that they were able gibberish to their advantage they would have surely starved to death. Had I been raised in Greece I too would know the language as my cousins there speak it...but I'm sure their kids probably just know certain words just like the kids you spoke to in Hydra. While I was in Greece my family showed me these brown string bean looking things that grew from a certain tree that they would dry out to eat to survive because food was so scare. It wasn't bad but to only eat that stuff and weeds to survive was rough. My father even told me that when his sister was born his mother also breast feed his two younger brothers age 3 and 5 so they wouldn't die from starvation. Eda thank you so much for your work done and the determination to shed light to those parts of the "albanian" heritage that is being obscured systematically by politics and ethnic hostilities. It is so sad to see this identity being lost in the new generation of "arbëresh" blood in Greece. The problem is not only the greek political agenda to be the only country in Europe stately declared "free" from ethnic and cultural minorities, but far bigger the Albanian mother state not being able to take care and help and claim mothership to the arbëresh community in Greece that's left orphan in their greek homeland. What the world and Europe does not know is that greek means only an habitant of the geographical place called Greece, for that geographical place in its roots has many ethnicities forming its people and citizens. P.S. I am not talking about changing borders or enlarging any state, only protecting ethnic and cultural minorities.